We all need a bit of inspiration for those mid-week dinners to avoid making the same old things week after week. This fits the bill perfectly; quick and easy, but most importantly – tasty! This quantity serves 3, so adjust as needed. 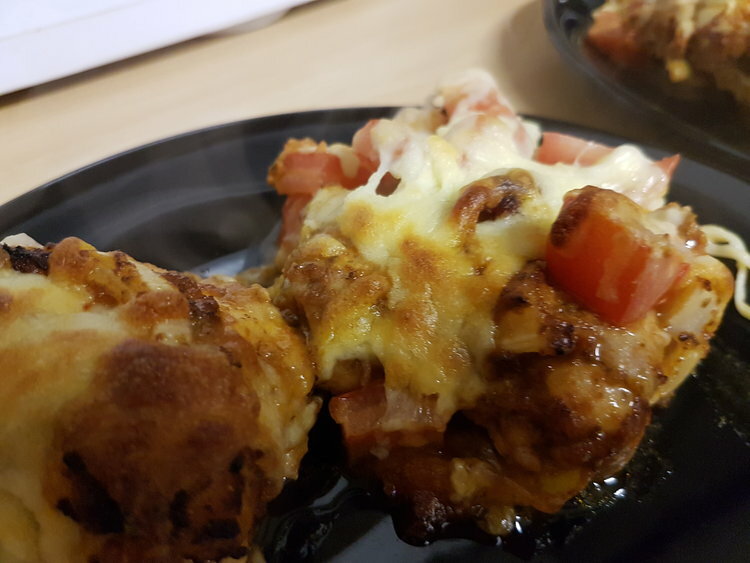 1.Preheat oven to 180C/350F, and line a baking dish with foil (the baking dish should be approximately a size which comfortably fits the chicken pieces next to each other with a small gap in between each one). 2. Mix the chicken and onions with the whole jar of pesto until well coated. Place the chicken and onions into the baking dish and bake for 25 minutes. 3. Scatter on the tomatoes, top with the cheese. Bake for about 10 minutes more until the cheese has melted, and started to brown. Check the chicken is cooked through properly. 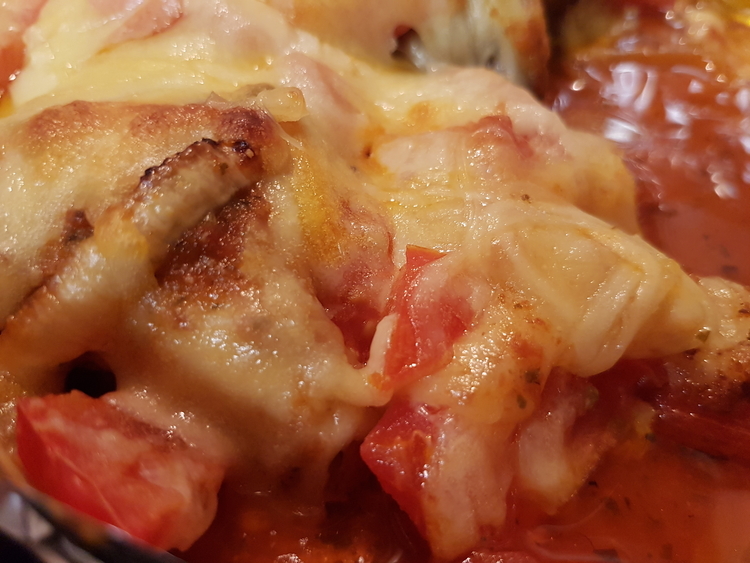 The tomatoes will be hot but won’t yet have broken down, and similarly the onion will still have a bit of bite to it, so the tomato and onion is quite fresh tasting, which is a nice contrast to the richness of the melted cheese. We served ours simply with steamed broccoli. No this looks like my kind of recipe! Printing it out this minute. Thanks! It’s ok ‘ll save the washing up for you!